The laser beam passes through the skin and is absorbed in the hair follicle residing underneath the skin’s surface. The laser energy destroys the follicle with the heat that it generates. Destroyed hairs are then either dissolved within the skin or rejected by the body within two to three weeks. What types of lasers do you use? At Capital Laser we use GentleMax Pro 2018 – which combines both the wavelengths of the Alexandrite and ND-Yag lasers. 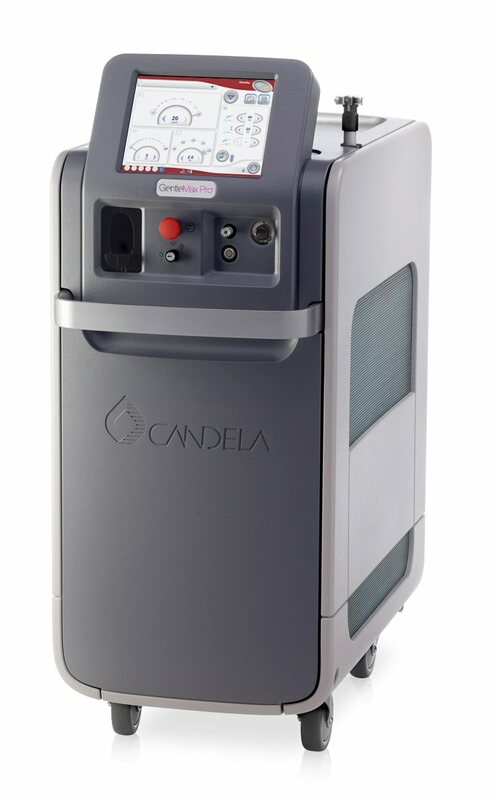 Candela’s premier hair removal laser which provides quick, comfortable, safe, and effective treatment. The GentleMax Pro have been cleared by the FDA. We ensure that our equipment is serviced and updated regularly. How many laser hair removal procedures will be needed? Laser hair removal procedures impair the growth of hair follicles when they are in the growth cycle at the time of the procedure. There are three phases in a person’s hair growth cycle: Anagen, Catagen, and Telogen. This is why you need more than one session. Most people require approximately four to eight sessions to have desired results. This is standard practice with most types of laser hair removal systems. Does skin type or tanned skin make a difference for laser hair removal? Candela GentleMax Pro 2018 is our latest award-winning, multi-wavelength system (755 nm and 1064 nm). We have two Candela GentleMax Pros that can treat a wider range of clients of all skin types within each device. However, it may not be as effective for individuals with heavily tanned and/or very dark skin (Skin Type VI), due to the laser targeting the melanin in the skin. In addition, most lasers are not effective for those with light, red or gray hair. Is the laser hair removal procedure painful? 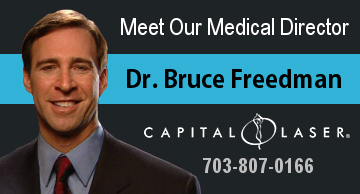 Our laser utilizes a special patented cooling system that lowers the temperature of the skin at the procedure site before, during, and after laser exposure. It is almost painless. No local anesthesia or pain medication is required, but for more sensitive areas, topical anesthetic cream is available at our office. You must thoroughly shave your hair preferably the same day of the procedure. Avoid indoor or outdoor tanning and use of self tanning products for approximately four weeks. Do not wax, tweeze dye hair or have electrolysis two weeks prior to the procedure. Avoid skin care products with irritants such as Glycolic Acid or Retin-A in the procedure area for about a week. What should I expect following the laser hair removal procedure? Once the laser hair removal procedure is complete you are free to return to your normal activities immediately. Some clients may experience a slight reddening around the hair follicles immediately following the procedure. This reaction typically disappears within a few hours. The use of sunscreen at or above 25 SPF is recommended on all skin areas exposed to the sun for approximately the next four weeks following the laser procedure. It is also recommended that the client avoid heavy sun exposure for the next four weeks. Application of ice or aloe gel after the procedure will generally facilitate healing and cooling. Approximately two weeks after the laser hair removal procedure the body will exfoliate the dead hairs. Most clients experience a mild stinging or burning sensation when the laser pulse is delivered and some may experience a slight reddening of the skin or local swelling. This typically disappears within a short period of time from anywhere between a couple of hours to a couple of days. Are the results of laser hair removal permanent? The FDA has cleared the GentleLASE laser for permanent hair reduction. Since lasers have only been used for hair removal for approximately 20 years, it is difficult to predict the effects of the procedure and how long it will last. However, studies have shown that clients are usually hair free and satisfied with the results. Get 15% from your referral? Refer a friend and receive 15% of their initial purchase towards your next purchase.